Robert Najdecki MD, PhD is a Reproductive Gynaecology Specialist. His experience in diagnosis and treatment of fertility disorders, such as endoscopic surgery is long and extensive and includes more than 6000 stimulated cycles. 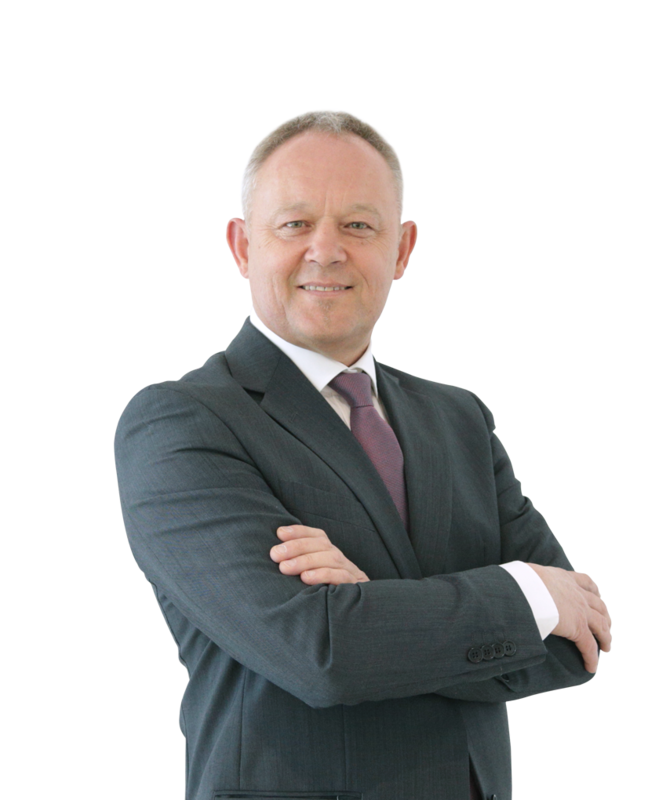 He graduated and received his medical degree from Medical School at the University of Warsaw in 1985 and his residency training in obstetrics and gynecology at Solec University Hospital in Warsaw. He completed the reproductive endocrinology and infertility fellowship at The Genetic Department of Children’s Memorial Health Institute in Warsaw – Poland as a member of the IVF team in 1992. One of the most important achievements of his team/ led by Prof. Wisniewski / was the second baby birth through IVF technique in Poland.In 1989, he obtained his PhD in the University of Warsaw, with his dissertation titled “Evaluation of maturity of oocytes after stimulation through IVF method.” His dissertation includes studies of multiple medication protocols in order to induce ovulation, regarding the morphological maturity in human oocytes after collection. As a reproductive gynaecologist, he finds this experience in embryology to be a very crucial in the process of improving patients care. During these pioneering years, Dr. Najdecki was deeply involved in research for a “new method” for oocyte pick up. After many years of laparoscopic OPU, he successfully introduced the first vaginal, ultrasound guided oocyte pick up, which resulted in second IVF baby being born in the nation.This first success led the way to a new era in IVF techniques that goes on until today. He has also been active in fertility research, publishing on topics ranging from fibroids, endometriosis to ovulatory dysfunction and ovarian ageing. After moving to Greece Dr Najdecki was appointed Scientific Director of “Iatriki Erevna” IVF Unit / Medical Research/Clinic in Thessaloniki (1988 – 2005). In 2005 Dr Najdecki joined the clinical team at “Embryolab” IVF Unit in Thessaloniki and spent 8 years supporting the team in egg collections, embryo transfers and endoscopic surgeries. From 2013, Dr Najdecki is a founding partner, scientific director of Assisting Nature Assisted Reproduction Unit in Thessaloniki. In addition to his clinical practice, Dr Najdecki supervises the extensive research activities and academic ventures of the practice and he is currently holding the position of QMS director of the Unit. Many years of intensive clinical practice and academic research have shown him the limitations of conventional IVF. He is not only a strong advocate of minimal stimulation IVF protocols (Natural, Minimal, UltraMini-IVF,) for indicated patients but is an accomplished surgeon for minimally invasive procedures as well. Dr.Najdecki still actively continues his clinical research and educational activity in the field of advanced office hysteroscopy for reproductive patients. At the same time, he is constantly pursuing the development of new medical devices, novel medications, and advanced diagnostic approaches. Robert Najdecki is an active member of the European Society of Human Reproduction and Embryology (ESHRE) and the American Society for Reproductive Medicine (ASRM). During his career, he has published over 25 scientific papers. He has led several large research studies and contributed to publications in top peer-reviewed fertility journals, including Fertility and Sterility and Human Reproduction. In addition, he has appeared as guest speaker at numerous scientific meetings and conferences. Dr Najdecki research interests include diminished ovarian reserve and AMH relationship, GnRh Triggering, Antagonist stimulation protocols, Office advanced Hysteroscopy for infertile patients, QMS in IVF Units, single embryo transfer, fertility preservation, preimplantation genetic diagnosis (PGD). Chatziparasidou A., Elder K., Christoforidis N., Tsakos E., Najdecki R. (2007). “Seminal Plasma infections”. Poster presented at 23rd Annual Meeting, ESHRE. Lyon, France. Chatziparasidou A., Christoforidis N., Tsakos E., Najdecki R. (2007). “Triplonuclear embryos in ICSI cycles”. Poster presented at 19th World Congress on Fertility and Sterility IFFS. Durban, South Africa. Najdecki R., Georgiou I., Lolis D. The thalassemia syndromes and pregnancy – molecular basis, clinical aspects, prenatal diagnosis. Ginekologia Polska (Impact Factor: 0.6). 09/1996; 69(8):664-8.